Gangland Undercover is coming back. Recently, History announced season two of the TV series will resume in March. The scripted drama “recounts the personal story of Charles Falco, the most famous informant you’ve never heard of and his mission to infiltrate three of the world’s most notorious biker gangs.” The cast includes Damon Runyan, Thomas Mitchell, Hannah Anderson, Stephen Eric McIntyre, Shaun Benson, and Joanne Boland. Season one of the series aired on History. Season two of Gangland Undercover originally premiered on A&E back in December. However, the network stopped airing the series after only one episode. Now, season two will resume on History, the show’s original network, on March 2nd at 10 p.m. ET/PT. What do you think? Are you a fan of Gangland Undercover? Are you glad the show’s back on History? 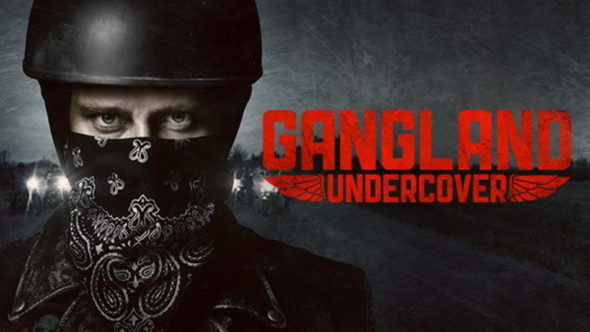 More about: Gangland Undercover, Gangland Undercover: canceled or renewed?, History TV shows: canceled or renewed? LOOKING FOR EPISODE’S 9 AND 10 OF SEASON 2? So I’m left hanging on from Episode 8? They just got patched in! Come on! Air some more episodes PLEASE!! This is one of the best shows on TV love this show. Keeps me on the edge of my seat. Can’t wait to see more. Keep the episodes coming.